Tasmanian State forest industry policy continues to be highly politicised, divisive, destructive and costly to taxpayers. 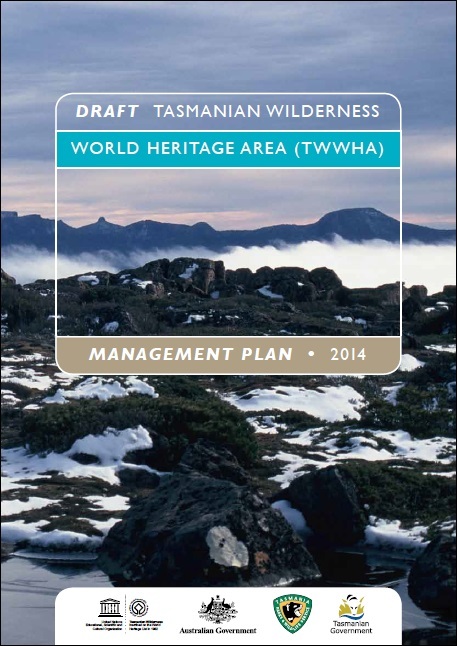 The Draft Tasmanian Wilderness World Heritage Area Management Plan is just such a case in point with the plan by Government to start logging the WHA for special timbers. I wouldn’t care if it was gold or diamonds. The idea is just rubbish. Here’s my submission to the Plan review. It’s not at all complementary. I could have said a lot more but this will do for beginners. As a forester and member of the forest industry for the past 35 year my representation is entirely confined to the issue of special species timbers harvesting as it is mentioned in the DTWWHAMP. I will make my representation as clear and concise as possible since the issue of special timbers in Tasmania is so hopelessly clouded by confusion, passion and misguided policy and ideology. It’s time for Tasmania to get real! Forestry (including special timbers) is business. It’s about commerce and profits. It is not community service or the provision of Centrelink services. And it is certainly not about wedge politics and crony capitalism. 1. The first mention of special timbers in the DTWWHAMP is on page 28. Special timbers harvesting is listed as an allowed activity in Conservation Areas and Regional Reserves. So why is special timbers harvesting listed as a sustainable use in Conservation Areas, but only a controlled use in Regional Reserves? How are sustainable use and controlled use defined? Why the difference in use between the two reserve types? What other natural resources besides special timbers can be used in these reserve classes, or are special timbers the only resources available for use? Conservation Area The protection and maintenance of the natural and cultural values of the area of land and the sustainable use of the natural resources of that area of land including special species timber harvesting. Regional Reserve Mineral exploration and the development of mineral deposits in the area of land, and the controlled use of other natural resources of that area of land, including special species timber harvesting, while protecting and maintaining the natural and cultural values of that area of land. 2. The second mention of special species timbers is on page 74 where the zones where special species timber harvesting is allowed are listed – all zones except Visitor Services Zones. 3. The third and final mention of special species timbers in the DTWWHAMP is in section 3.6.2 on page 81 where the main discussion on special timbers harvesting is located. The salvage of Huon pine from the shoreline of Macquarie Harbour pre-dates the declaration of the TWWHA. The activity is permitted under a longstanding arrangement between the PWS and Forestry Tasmania. Most of the timber originates from the Gordon River and is sourced from trees that were cut down many decades ago during the height of the pining activities in the western rivers that are now in the TWWHA. Salvage operations, which occur mostly in response to flooding in the Gordon River catchment, make an important contribution to supplies of this rare and valuable timber, and are important for the economy of the region. Only commercial salvage is permitted and it must be in accordance with the PWS-Forestry Tasmania agreement, which is reviewed every five years. Salvage operations will be considered by the RAA process and any other applicable assessment and approval process. The objectives of regional reserves and conservation areas, as set out in Schedule 1 of the NPRMA, provide for the harvesting of special species timber. Special species timber is defined within the Forestry (Rebuilding the Forestry Industry) Act 2014 and includes blackwood (Acacia melanoxylon), myrtle (Nothofagus cunninghamii), celery-top pine (Phyllocladus aspleniifolius), sassafras (Atherosperma moschatum), huon pine (Lagarostrobos franklinii), silver wattle (Acacia dealbata) and timber of any other species or timber with particular properties as may be prescribed through the associated regulations. Extraction of special species timbers will be considered through the RAA process and any other assessment and approval process or applicable legislative process. Over 50% of section 3.6.2 discusses in the most general terms the current salvage of Huon pine from the shores of Macquarie Harbour. A number of unsubstantiated claims are made about this resource and its importance/significance. No supporting data is provided. These operations are undertaken in accordance with some PWS-FT agreement document. This agreement document is not referenced nor is it available to the public. Why not? The remaining 100 words of section 3.6.2 tell us that special timbers harvesting is provided for under Schedule 1 of the NPRMA, and will be considered through the RAA and any other assessment and approval process as required!! Relevant special species available for harvesting are listed, along with any other species or timber with particular properties. It is difficult to imagine a more opened ended and uninformative a statement as this. It serves no practical purpose whatsoever. “The Forestry (Rebuilding the Forest Industry) Act requires the Minister for Resources to cause a special species management plan to be made before October 2017. The special species plan will specify the land to which it applies, the supply level of each species of special species timber in relation to the land, and take into account the management of conservation and cultural heritage values of the land. Forestry Tasmania indicates its planned annual supply of special species timbers in its Three Year Wood Production Plan, which is updated annually. Forestry Tasmania’s future management of special species timbers from PTPZ land will be informed by the special species management plan when it becomes available.” Forestry Tasmania will not be involved in any way with any special timbers harvesting outside the PTPZ. In other words special timbers management in Tasmania is in chaos! Forestry Tasmania is scaling down its special timbers commitments in line with its diminished capacity to supply. And a Special Species Management Plan won’t be available until the next Tasmanian State election in 2017! The DTWWHAMP contains no statement of Government special timbers policy, no guarantees of any assessment, management or performance standards at all. Nothing but silence. It appears that this major change in TWWHA management is to be taken entirely on trust. In summary the DTWWHAMP tells us virtually nothing about the existing special timbers salvage that does occur in the WHA, and tells us even less about the planned expansion of special timbers logging in the TWWHA. Given the bitter, long and ongoing conflict in Tasmania around the so-called commercial management of public native forests the special timbers provisions within the DTWWHAMP are entirely inadequate. The subject of special timbers harvesting is of such enormous significance to the future of Tasmanias Wilderness World Heritage Area it is worthy of an entire chapter in the DTWWHAMP in its own right it. As an absolute minimum if special timbers logging must go ahead (against all logic and reason) it should not proceed until the management plan and harvest operations have received Forest Stewardship Council (FSC) Certification, to guarantee forest operations are of the highest possible standards (as befitting a World Heritage Area) and meet with clear majority community support. Completely inadequate is the only way to describe the special timbers provisions of the DTWWHAMP. Not at all worthy of the high standards of the World Heritage Convention. A thorough and complete rewrite is recommended. This entry was posted in Commentary, Forestry Tasmania, Management, Politics and tagged Logging, special timbers, World Heritage Area. Bookmark the permalink.